She used to be a music journalist and a DJ. Today, Sophia Hoffmann is a vegan cook, an author and a blogger. 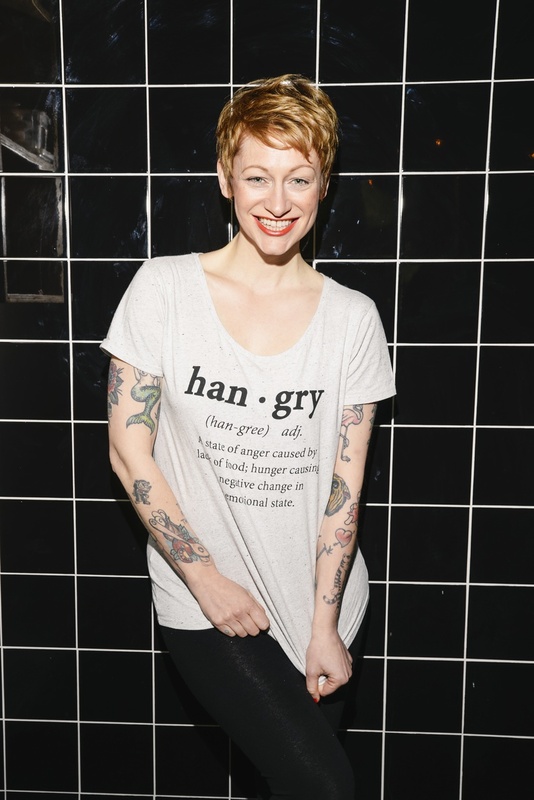 This Berliner at heart combines her love for veganism with feminist themes, while simultaneously encouraging other women in the culinary sector to make their ideas a reality and go their own way. The conclusion that she came to was the result of a long process. Sophia grew up as a typical eco-child in the 1980s, with a healthy dose of knowledge surrounding environmental issues and nutrition passed down to her by her parents. As an adult, Sophia started by eating less meat, then turned vegetarian before finally switching to an animal-free, vegan diet. Her newfound diet went hand-in-hand with Sophia’s love for cooking and commitment. “In the coming years, if we want to guarantee our children a future on this planet, eating fewer schnitzels will simply not suffice,” Sophia says on her podcast. 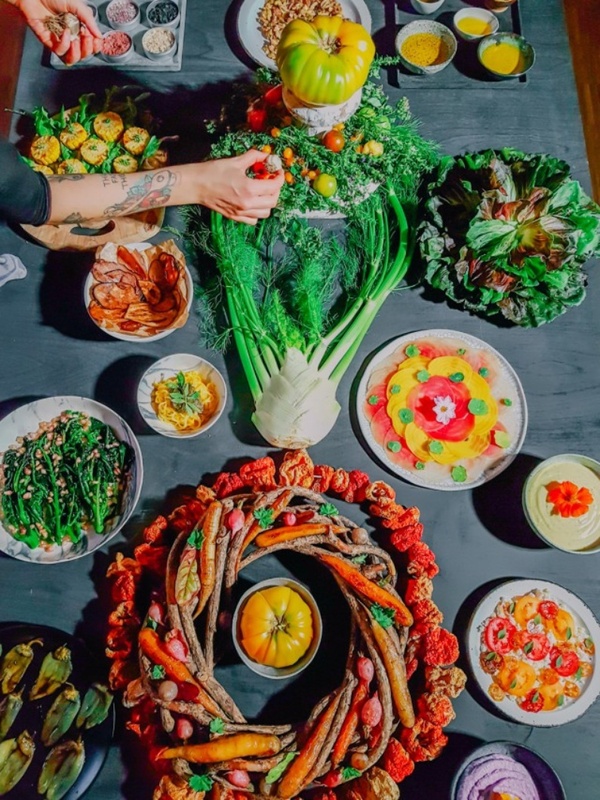 Although the 30-year-old doesn’t have any formal training in the culinary arts, she has worked in the catering industry since the age of 16 and often invites friends and acquaintances to dine with her for fun. But to make a career out of cooking? It was something Sophia had never considered in the 10 years she worked as a freelance journalist and DJ. It was in writing posts on her blog that she realised cooking and, above all, vegan cooking, were her speciality. From 2011 onwards, Sophia started posting simple, casual and colourful vegan recipes on her blog. Nothing annoys Sophia more than “vegan-bashing”, when people speak about vegans as if they were colourless, grumpy people with no energy or zest for life, she tells her audience at one of the many conferences she is invited to. Since her culinary endeavours are not enough to keep Sophia energised, being the fireball that she is, she writes books and blog articles too. Her first cookbook, Sophia’s Vegan World, was released in 2014, followed by her second book Vegan Queens in 2016. The latter, affectionately referred to by Sophia as her “golden goose”, connects vegan nutrition with feminism. In 10 menus, Sophia presents 10 stories about food companies created by women. It’s not all about meat-free recipes like calzone with a spinach, basil, walnut, cashew, mozzarella filling or carrot and turmeric balls with cinnamon mayonnaise. The book is about women entrepreneurs who are making their mark on a male-dominated culinary industry. “Many women are too modest about their careers and professional achievements, they are ‘just doing it’. I wanted to put all of the women I chose on a throne, not just making them visible but also really paying tribute to them. That’s why I called them ‘queens’,” Sophia explains. On stage at presentations and conferences, Sophia is often the only woman speaker in an otherwise all-male panel, even though the vegan/vegetarian culinary scene is mostly made up of women entrepreneurs. Vegan Queens shows that these women exist, and encourages them to put their own ideas into practice. What exactly does veganism have to do with feminism? A lot, apparently. In the 1970s, 1980s and 1990s, abstaining from meat was largely linked to the feminist cause. The two worlds were first overlapped in a book published in 1990 by American author and activist Carol J. Adams entitled The Sexual Politics of Meat, in which she presents a vegan-feminist theory. According to the theory, in a patriarchal and meat-consuming society, neither women nor animals have full agency since neither are in full control of their bodies. For many feminists, the parallels between the oppression of animals and that of women are obvious. Let’s take milk, for example: to produce milk, a cow must become pregnant and is repeatedly inseminated by force, which can be compared to an act of sexual violence. Sophia is also fighting for more cooperation and solidarity among women in Berlin, where she is part of the feminist network Feminists Food Club. Founded at the beginning of 2017, the network already has several hundred members; women from all areas of the culinary scene including cooks, women entrepreneurs and food journalists. There is an online network as well as monthly meetings where members give lectures. Many of these lectures have something to do with taste and food, but others are dedicated to the theme of children or careers. Sophia has also given a lecture in the past, and is present at almost every meeting. “Through the Feminist Food Club, I have made countless new contacts and can rely on a strong and helpful network of women. I wish that was not only the case here in Berlin, but everywhere,” she says. On March 8th, International Women’s Day, Sophia will be one of six chefs cooking a dinner for the James Beard Foundation in New York. The motto of the event is “women chefs rule: the vegetable edition”. The vegan queen is pleased because for her, the Beard Foundation is like the “Carneige Hall of Cooking in the US.” “It’s an extraordinary honour for me to cook for this very special occasion. Of course, I’ve thought of something special…” Sophia hints. “There is this nostalgia that I have for my favourite childhood dish: Kärntner Kasnudeln - an Austrian specialty, veganised by yours truly, of course. I’ll be making pasta filled with potatoes, almond ricotta, chives and fresh mint and serve it with bread crumbs made from red bread,” she says proudly [NB. Red bread is one of Sophia’s famous recipes]. Sophia was in New York earlier this year, along with 20,000 other people, for the Women’s March in which masses gathered to protest gender inequality. “In a time where right-wing populism and extremism is on the rise, feminism is something worth fighting for. And I’m happy I can use my voice for the cause.” Her voice and her spatula, of course. Voglio Mangiare Così is a series of portraits that show what's being eaten by young Europeans today. A little out of whack, a little political and a little weird, these eight portraits embody what it means to follow an alternative diet.